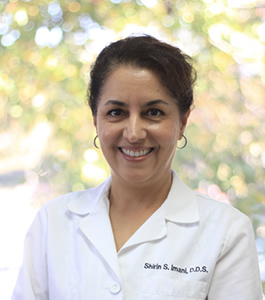 Dr. Imani is a General Dentist graduated from University of California at San Francisco in 1994. She regularly attends seminars and classes keeping up to date with the latest in dental technology and procedure. She is Invisalign© Certified and a member of American Dental Association, California Dental Association and San Mateo Dental Society. In her spare time she loves being in nature, hiking and travel with her family. Dr. Imani also speaks Farsi fluently. 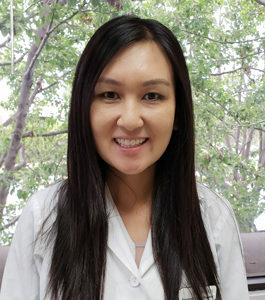 Dr. Liu is a General Dentist graduated from the University of California at San Francisco in 2009 and completed 2 years of General Practice Residency at Rancho Los Amigos National Rehabilitation Center in 2011. Dr. Liu is Invisalign© Certified. She is a member of the American Dental Association, California Dental Association and San Mateo Dental Society. On her free time she enjoys golfing, hiking, and spending time with her family. Dr. Liu also speaks Mandarin. Dr. Mohan completed her Bachelors of Arts Degree in International Studies with Honors from the University of California, Irvine in 2009. 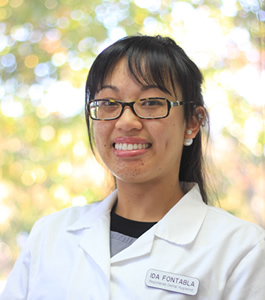 She then completed her dental degree and graduated from the University of the Pacific, Arthur A. Dugoni School of Dentistry in 2017. She is a member of the American Dental Association and the California Dental Association. In her free time she enjoys traveling, trying new restaurants, and being active. Dr. Mohan also speaks Tamil fluently. Idaline is a Registered Dental Hygienist. 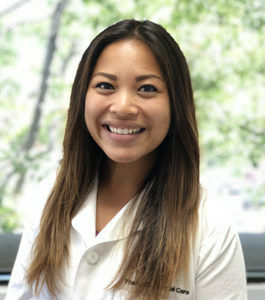 She graduated with a Bachelor of Science Degree in Dental Hygiene from University of the Pacific, Arthur A. Dugoni School of Dentistry in 2015. She is a member of the American Dental Hygienists Association. When she’s not working on patients; she enjoys gardening, reading books, and taking her dog out for hikes and walks on beaches. Christine is a Registered Dental Hygienist. 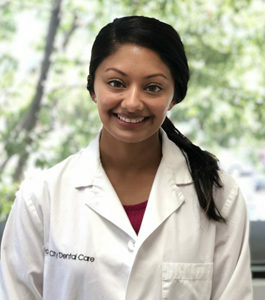 She graduated with a Bachelor of Science degree in Dental Hygiene from University of the Pacific, Arthur A. Dugoni School of Dentistry in 2016. She is a member of the American Dental Hygienists Association. She loves to watch Netflix, eat good food and spend times outdoors with good company especially her corgi Benny! Katelynn is a Registered Dental Hygienist. She graduated with an Associate Degree in Dental Hygiene from Chabot College in 2006. She is a member of the American Dental Hygienist Association and the California Dental Hygienist Association. In her spare time she loves to spend time with her family and has a passion for photography. Katelynn also speaks Cantonese.